As embattled US President Donald Trump continues to disassemble a growing mountain of evidence in the “Trump/Russia” investigations, a curious new link has appeared in testimony connected to the “Steele Dossier” and the controversial political research behind it. Amid the hours-long appearance of Fusion GPS founder Glenn Simpson, the man who commissioned former British MI6 agent Christopher Steele to investigate Trump’s many connections to Russian organized crime and the Russian government itself. Among the latest revelations is that the high-profile Taiwanchik-Trincher illegal gambling case, heavily covered here at Flushdraw, also drew the attention of Simpson and Fusion GPS. (Also among the three-part case’s many defendants were several high-profile poker pros.) The Russian mob-controlled ring, operated in large part from the full-floor penthouse apartment in Trump Tower leased by Russian mob underboss Vadim Trincher, who also happened to win the 2009 WPT Foxwoods Poker Classic main event. Trincher was the hands-on underboss of many of the illegal gambling, racketeering, and extortion crimes conducted by he, his two sons, and dozens of associates, though the largest figure in the entire case, Alimzhan Tokhtakhounov, widely known as “Taiwanchik,” remained in Russia and to date has escaped prosecution. Tokhtakhounov was already under a US federal indictment for rigging the pairs ice-skating competition at the Salt Lake City Olympics, and was featured on Forbes‘ “Top Ten Most Wanted” list for his outstanding warrants on money laundering, arms smuggling, and other crimes. 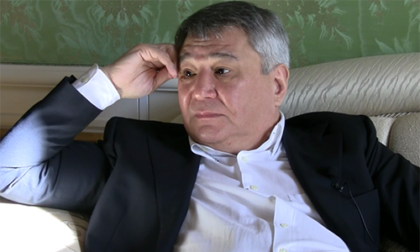 Tokhtakhounov controlled the Trincher operation remotely, and received a slice of all proceeds, as befitting a controlling a “vory v zakone,” or “Thief-in-Law,” one of the highest-ranking of all Russian mobsters. And all that links back to Donald Trump and thr Trump/Russian investigation in a new way. It was long clear that Trump and his businesses must have had some sort of connection or familiarity with Trincher, since Trincher’s full-floor suite, #63A, was only three floors below Trump’s own. 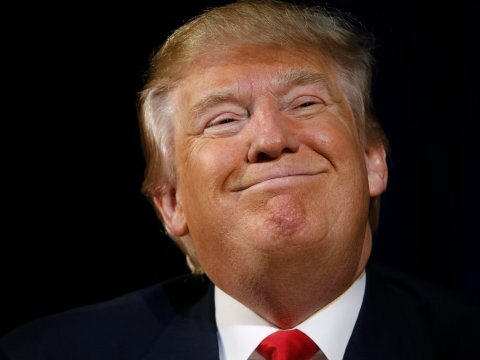 But according to Fusion GPS’s Simpson, who appeared before the US House of Representatives Select Committee on Intelligence in November, Trump could have hobnobbed with international criminal Tokhtakhounov himself, since both men were in the same VIP section at the 2013 Miss Universe pageant in Moscow that has figured into other parts of the Trump-Russia investigation. Trump owned the Miss Universe pageant, and he announced that he was bringing it to Moscow just two months after the Taiwanchik-Trincher raids and arrests, and all that figured into Fusion GPS’s research efforts. The Fusion GPS effort, part of which included input from independent contractor Christopher Steele, dug into many of Trump’s questionable leasing of high-price condos to well-connected Russians through underground channels. Trincher’s condo was part of that, and though the actual renting of that condo was more “legit” than many of the other Trump condo deals, the illegal activity being conducted from Trump Tower had been captured by FBI wiretaps for a couple of years prior to the 2013 arrests. MR. SCHIFF: And, in this case, what facts came to your attention that concerned you that the buying and selling of properties – the buying and selling of Trump properties might indicate money laundering? MR. SIMPSON: There was — well, for one thing, there was various criminals were buying the properties. So there was a gangster — a Russian gangster living in Trump Tower. MR. SIMPSON: His gangster name is Taiwanchik. I couldn’t spell his actual name. But, you know, I mean, these are the kind of things that prompted us to hire Mr. Steele. We had a gangster named Taiwanchik living in Trump Tower who had been under– I’m sorry, he was –1 think he was running a — his associates were living in Trump Tower, ·and he was running a high-stakes gambling ring out of Trump Tower, while he himself was a fugitive for having rigged the skating competition at the Salt Lake Olympics and a bunch of other sporting events engaged in rigging. Simpson erred slightly in suggesting that Taiwanchik himself lived in the $5 million Trump Tower condo, though he quickly corrected himself. It was underboss Trincher who lived there, while Taiwanchik operated his many schemes remotely, as he does today, under protection of the government. The episode stands as just one of dozens of happenings linking Trump to Russian underworld figures. What’s not yet known, however, is if the FBI investigations into the Taiwanchik-Trincher ring may have uncovered further information on Trump’s own business dealings, and thus might end up being included in the ongoing Robert Mueller investigations.